Front view, there is no mouse, this is a command line interface controlled computer. The RM Nimbus was introduced in 1985 but this machine dates from 1987. It was aimed at the education market. 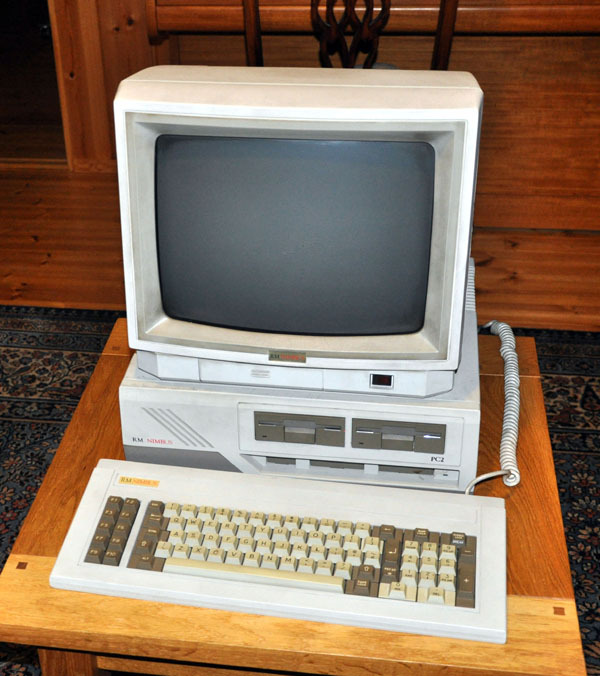 Although not completely IBM PC compatible it could run MSDOS. It had two 3.5" floppy disk drives. Research Machines Ltd was based in Oxford, England. Rear view. The monitor COLOUR output is not connected, and the monitor mains input is not connected. This is the base unit opened up. Two floppy disk drives at top, power supply at bottom. 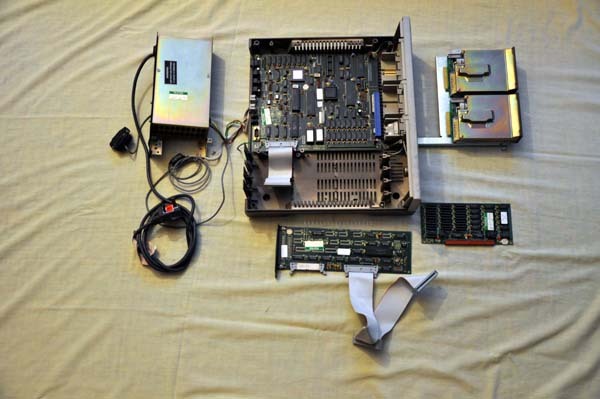 The components after taking it to bits. 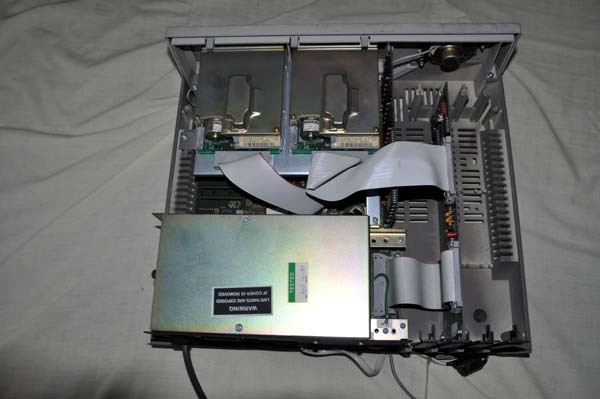 Top left is the power supply. Then the motherboard in the case. 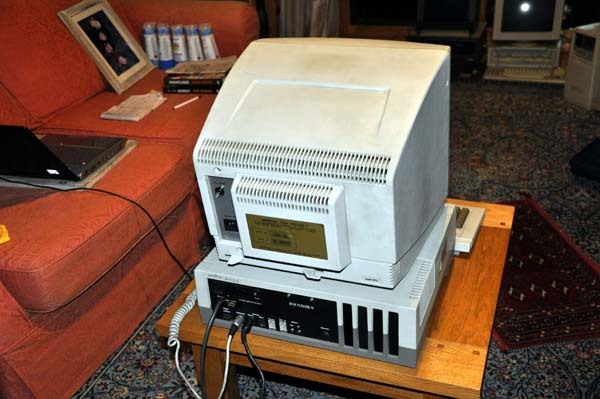 Next right, two floppy disk drives. Below the motherboard is the floppy disk drive contoller. 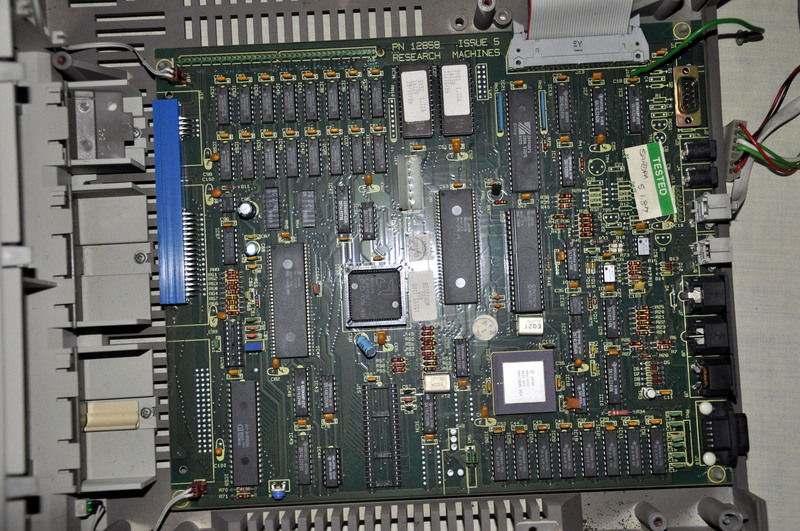 To the right of that is the memory expansion board. 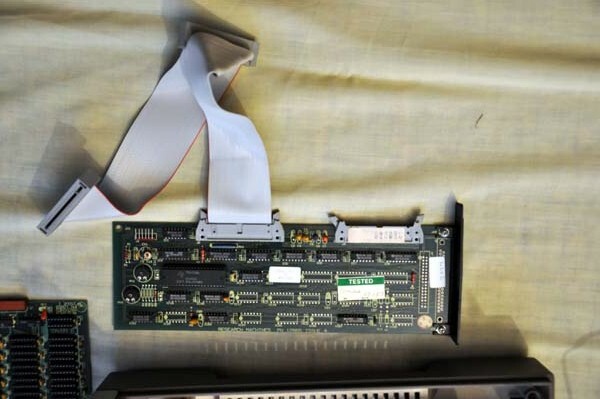 The floppy disk drive controller card. 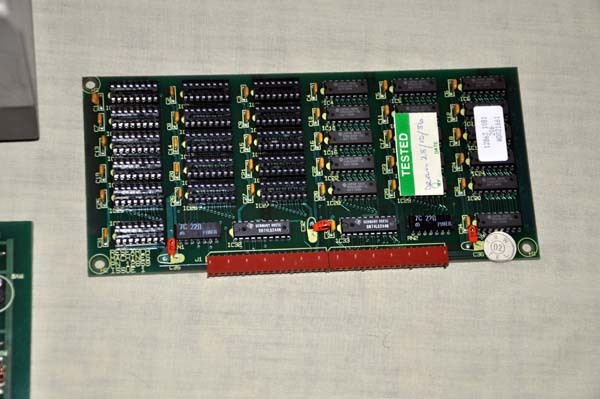 The memory expansion card: the motherboard had 512KByte of RAM and the expansion board had another 512KByte, totalling 1MByte. There are sockets on the expansion board for another 16 memory chips, totalling 1.5MBytes. This is the motherboard. The square 68 pin chip at the centre is the Intel 80186 10MHz processor. 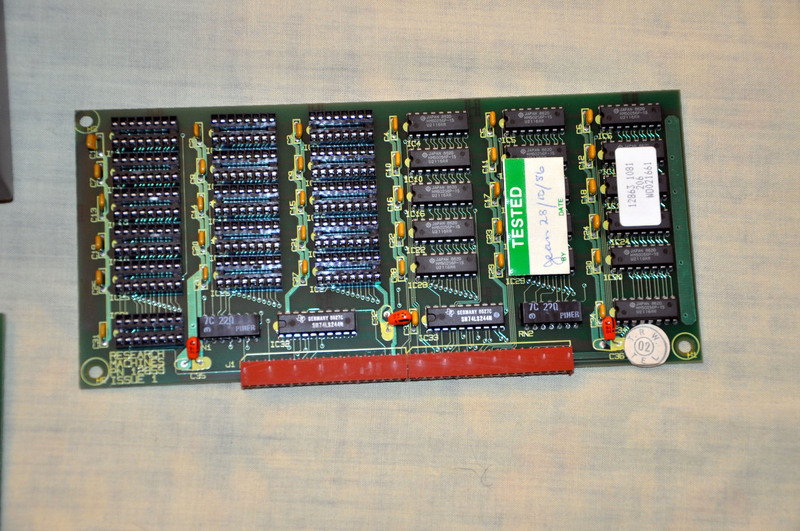 Top left are two rows of eight HM50256P chips, each is 262144bit memory, so the 16 chips are 512Kbyte of memory. Bottom right are eight TMS4416-15NL chips. Each is 16384bits, so that is another 2Kbyte of memory.